Finca Maputo is situated in Ecuador’s incredible 'cloud forests' of the Pichincha province, close in proximity to neighboring Colombia and on the equator. With the help of Café Imports, we were able to arrange an origin-trip for one of our baristas, Lucas Chemotti, who had the opportunity to document some of his trip in this post and brief accompanying video. The area is known for its high humidity, abundant butterflies and is surrounded by rivers with hundreds of small waterfalls. A persistent fog hangs over the area, and the mist that usually covers the farm in the afternoon makes it feel as though you’re walking in the clouds. Henry and Verena Gaibor, the co-owners and operators of Finca Maputo, met when working with Doctors without Borders in Burundi, Africa. Henry and Verena managed a clinic together in Maputo, Mozambique - the namesake of their future coffee farm. 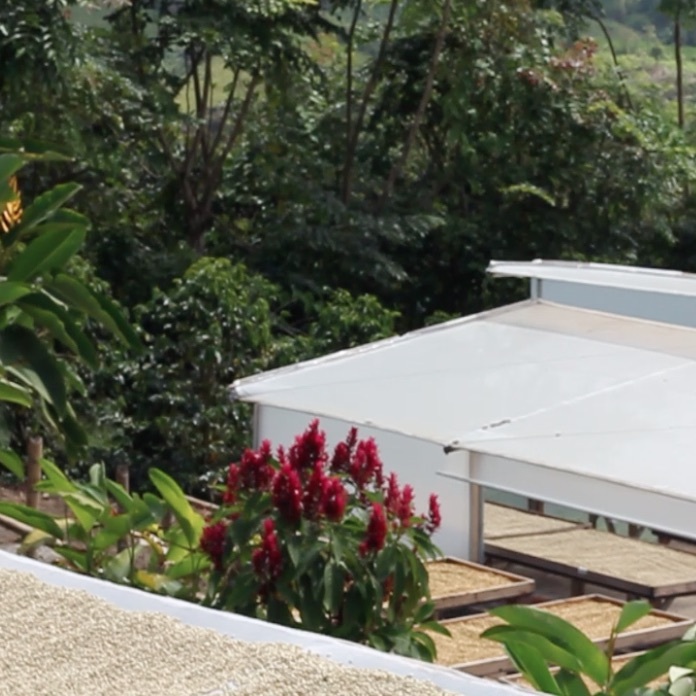 The couple’s methodical, meticulous approach to coffee production has elevated their coffees to an exceptional level in a relatively short period of time, a true feat in coffee production. The Gaibors are not only dedicated to ensuring the high quality of their coffee, they also believe the most important element of coffee production is the human factor. They recognize the importance of their farm to the local community and their workers and strive to provide them with fair wages and safe working conditions. Altogether, the Gaibors and their farm embody the values of Nossa Familia: great people, making great coffee, and giving back.